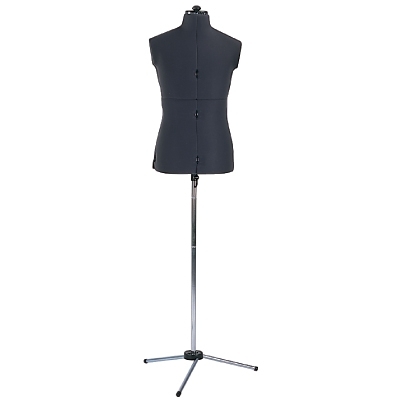 Male Mannequin Adjustable Sewing Tailors Bust 37-45 Inch Chest. Ideal for one-off designs, allows you to match the tailors bust to your clients exact measurements. Neck, bust, waist, hips, nape to waist, and height measurements all fully adjustable. Easy to manipulate with graduations in inches and cms. Lightweight plastic body with felt cover for pinning. Male chest 94-114cm (37-45 Inchs).